We inspire self-awareness and self-reliance in individuals with chronic health conditions, their families, and their communities. We empower them to engage with their treatment, to live life to its fullest, and, in turn, to inspire others. Comprehensive Health Education Services (CHES) was founded in 2009 by three friends, all with hands-on experience with chronic health conditions. Seeing a void in patient education, the founders decided to create CHES as a resource to provide individuals with chronic medical conditions with the support that allows them to assert their independence and the knowledge to more fully engage in their treatment. Over the years CHES has grown in scope and reach, attracting national and international attention for our unceasing work on behalf of our ever-widening community. With the important help of our funders, CHES offers those in need with a wide range of resources, including on-site patient programming, education, and the latest information on research and treatment. CHES is currently owned and managed by Janet Brewer and Eric Lowe, both of whom live with chronic conditions, their own or those of family members.  The contraction of our name – CHES – inspired the purple chess piece design of our logo. But the roots behind this design run deeper. Hemophilia and similar bleeding disorders were long considered “royal diseases,” as they frequently affected members of ruling class families. Since chess was also considered the “royal game,” and purple the color of royalty, we feel our logo pays homage to the long history of chronic bleeding disorders. Janet was immersed in the world of bleeding disorders nearly five decades ago, when her brother was born with severe hemophilia A. Twenty year later, her son Christopher was born with severe hemophilia A. A second son, Stephen was also diagnosed with hemophilia A, and daughter Mikayla is a carrier. Her work in founding Comprehensive Health Education Services and growing the organization’s impact and influence is truly a labor of love and the family business. Never one to settle for half measures, Janet has devoted her life to learning everything she can about rare bleeding disorders and inhibitors, then sharing that knowledge with individuals with disorders, their families and their medical care providers. She brings an unmatched passion to her work as an advocate, educator and supporter. For her, this is personal. Her work with CHES has drawn national and international attention to bleeding disorders and the need for education and enlightenment in the medical community. On a national level, she has spoken, along with her son Stephen, on the impact of inhibitors, immune tolerance therapies and use of plasma-derived products. Drawing upon her experience as an educator, Janet has written articles and presented at chapter symposiums on advocating for your child and developing 504 or IEPs for those affected by bleeding disorders. She has spoken at a local level to educate school nurses and personnel, as well as to the medical students at Tufts University to educate them about living with a bleeding disorder. Prior to founding CHES, Janet served as the Director of Program Development and Education for a small home healthcare company, developing and presenting educational programs for members of the hemophilia community. Over the years, Janet has served as the Alternate Director for Region I for the National Hemophilia Foundation, as well as a volunteer with the New England Hemophilia Association. She also served a two-year term on the Novo Nordisk Consumer Council. Janet worked for twenty years in the public schools, teaching and advocating for children with unique learning needs as a special education teacher and reading specialist. She earned a Masters Degree in Education from Simmons College in 2004. Eric Lowe is a driving force behind the positive impact Comprehensive Health Education Services is having on the bleeding disorders community. A tireless advocate for individuals with bleeding disorders and their families, Eric has also taken on the task of educating the medical community about the many aspects of the disorder spectrum that remain misunderstood. Eric understands because he lives with it every day. He was diagnosed at birth with Severe Hemophilia A. Shortly after, his immune system developed an antibody that fought against the preferred medication to treat his bleeding disorder; often referred to as inhibitors. As an inhibitor patient, Eric relies on bypassing products and has faced many obstacles in the process. Since 2008, Eric has practiced daily treatment regimens to overcome his inhibitors. Over the years, Eric has undergone various procedures and surgeries to remain an active and healthy individual with a chronic disorder. Today he serves as a role model, enjoying an active and fulfilling life with his wife and young daughter. So it was an easy decision for Eric to join CHES to help fulfill its mission of education and advocacy. He manages communications for the organization, including serving as editor, publisher and designer of the ground-breaking LifeLines for Health™ newsletter. Eric has become an instrumental component in forums for patients, as well as medical staff training. He has spoken at symposiums and educational events, focusing on advocacy for teens and young adults. He has written several articles addressing various topics, such as employment with a chronic illness, physical fitness with limitations, and disclosing medical information in the workplace. Eric also served a two-year term on a patient advisory council for a highly regarded drug manufacturer. Eric received his BA at Ball State University in 2004, then worked in the Education and Program Development Department of a specialty pharmacy company. As the Associate Director, he provided education to patients and their family members in efforts to promote health and wellness for living better lives with a bleeding disorder.